Episode 12: Wedding Videography - Enjoy! Episode 11: Modern Espionage - Enjoy! Converted properly back from VVT/ANSI-20127 to SRT/UTF-8 for compatibility per request. Original thanks to streetsahead. should work with other WebRips. synced and uploaded by streetsahead. 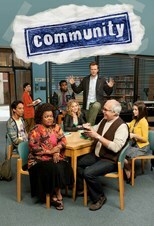 check out here and tvsubtitles.net(streetsahead) for my Community Season 6 subs, before anywhere else online! Also works with BTW.. Thanks to caioalbanezi.. addic7ed..
HI - Sync and Corrected by honeybunny/Thnkx to addic7ed. Clean & Resynchro pour la version WEB-DL. Sous-titres difficilement récupérables de bonne qualité. Synchro et correction dans la mesure du possible.